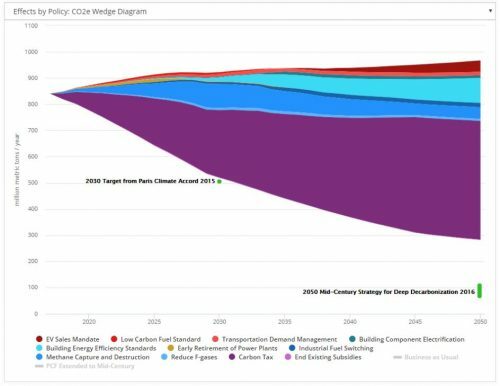 EI’s Megan Mahajan outlines how the Alberta Energy Policy Simulator reveals policies that could cut provincial emissions 30% while saving over $6 billion a year by 2050. EI’s Mike O’Boyle and Silvio Marcacci say as extreme weather forces coal offline, distributed clean energy becomes the better solution for grid resilience. EI’s Mike O’Boyle discusses new research on international regulatory policy to maximize distributed energy resources and reshape utility business models toward distribution grid optimization. EI’s Megan Mahajan says U.S. emissions rising as clean energy growth surged means decoupling economic growth from emissions is key to meeting climate goals. EI’s Jeffrey Rissman and Silvio Marcacci detail how clean energy R&D policy can unlock technology innovations needed to reduce global emissions. EI’s Hal Harvey lays out an energy wish list for Congress to consider including R+D funding, renewable energy tax incentives, offshore wind, grid expansion, and coal transition efforts.